Outwit The Green Ninja’s evil father Garmadon with this mighty THE LEGO NINJAGO MOVIE mech. 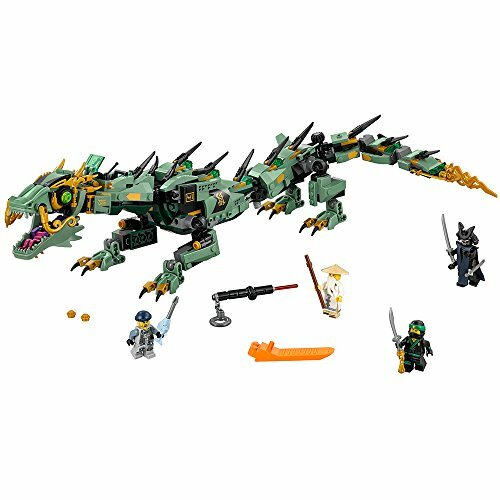 The Green Ninja Mech Dragon features articulated snapping jaws, a fully posable body, wheel-activated swooshing tail, 2 leg-mounted stud shooters and 2 hidden pop-out thrusters. This set includes 4 minifigures with assorted weapons—including The Green Ninja’s sword and Garmadon’s laser-style pointer – to offer even more role-play battle possibilities.